Categories: All Products, Plant Growth Promoters. Tags: Granulated Plant Growth Stimulant, Orgozyme, Plant Growth Promoter. micronutrients, especially Fe and Zn. Rhizosphere microorganisms induce Nitrogen fixation and Phosphorus solubilization. fruits, flowering plants, cotton, sugarcane, tobacco and other crops. Being rich in potassium, it imparts resistance to plant against abiotic and biotic stresses. 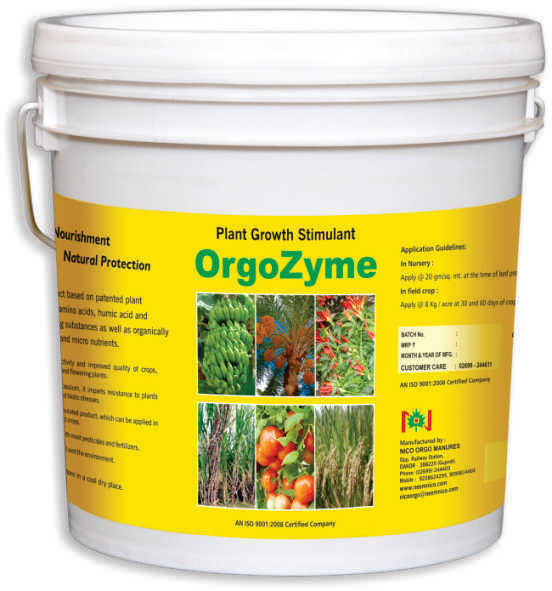 A ready to use granulated product which can be applied in nurseries as well as field crops. 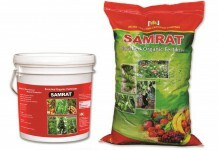 It can be applied with most pesticides and chemical fertilizers. Safe for crops, the soil and the environment. Apply @ 125 kg/hectare 10-15 days after germination. Apply @ 20 kg/hectare at 30 and 60 days of crop growth. Store in cool, dry place away from direct sunlight.